It was all the map talk, wasn't it? And what a great map it is! Yeah more like 2.5D amirite? If anyone has google earth at home, let me know and I can send you the file so you can get the full experience. I just installed Google Earth and loaded that *kmz file. He have 18 players currently registered for the Ice Bowl. If you are on the fence or are planning on showing up day of to register please post/pm so that I am aware. I KNOW!! I was showing that to everyone who would listen...and I had to show it fast, cause they started not listening pretty quick. I'll have them at IL this week for the Pine View Pre-View. 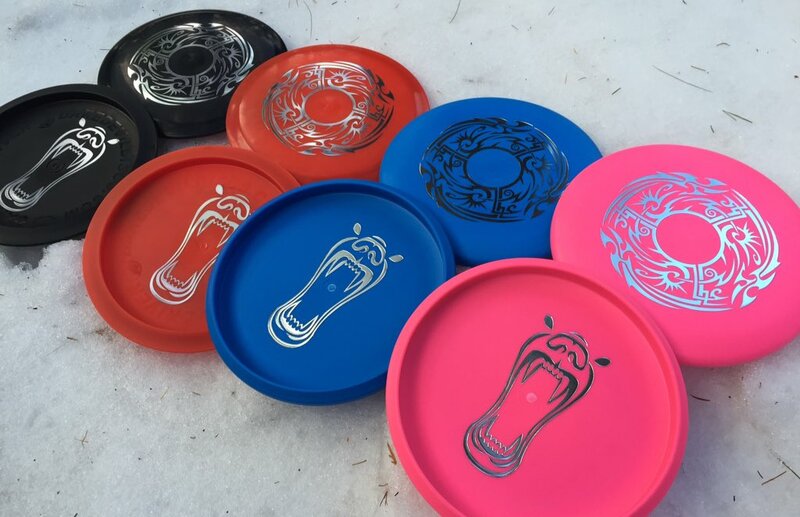 Anyone who has paid up for IB can get their TWO Daredevil Disc discs!! ... And we are in need of a few baskets. If you want to lend one out ..please bring it on Saturday ! Portables only, no metal baskets please. Question on the Polar bear understamp: Are those it's ears or is it the eyes? I all ways assumed it was the ears. Usually weights are the same within colours (within .5g). I'll double check when I get home tonight. My brain pictured it as him yawning or snarling with the head tilting back. I had my hands in the river, my feet back up on the banks. Looked up to the lord above and said, Hey, man, thanks. Sometimes I feel so good I got to scream?